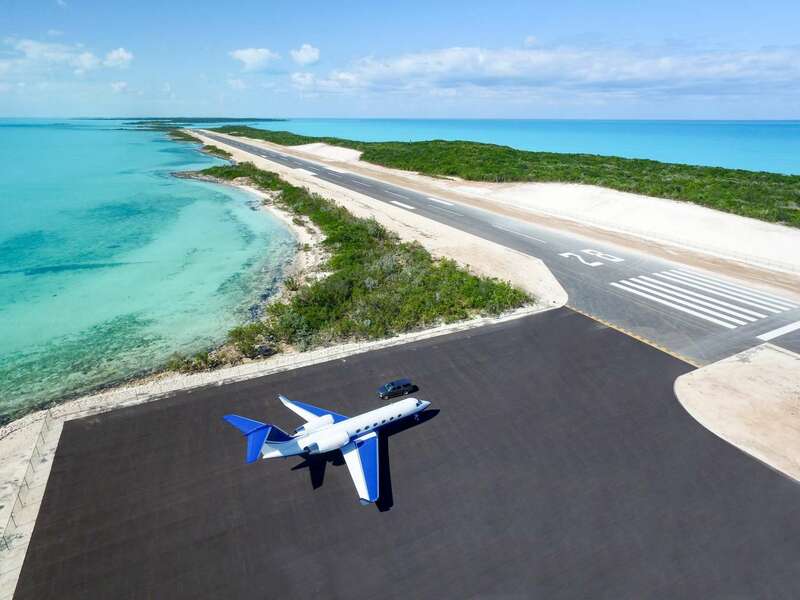 Envision yourself landing in your private jet on the new 5,700-foot asphalt airstrip on Blue Island in the Exuma district of the Bahamas. The sapphire blue water and untouched white sand beaches that fill your view are so bright that they seem to glow. The scene only becomes more intoxicating when you see the enchanting main house with seven bedrooms and seven bathrooms, guesthouse, a pool plus a five-bedroom, five-bathroom caretakers house, all move-in ready. This impressive 700-acre island has sophisticated amenities as dazzling as the views, including four miles of roads, a fire pit, jogging and bike path, power, water and communications systems. Even customs and immigration are available on the island for ease of arrival and departure. There’s a helipad too, as well as a boat ramp and docks. 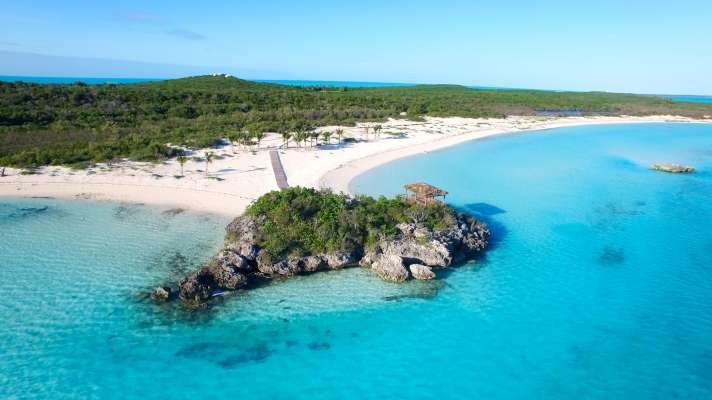 This fabulous island, home to three miles of treasured coastline and glistening beaches, features elevations up to 100 feet and numerous private beachfront home sites. If you don’t require total seclusion, the island is also ready for development. 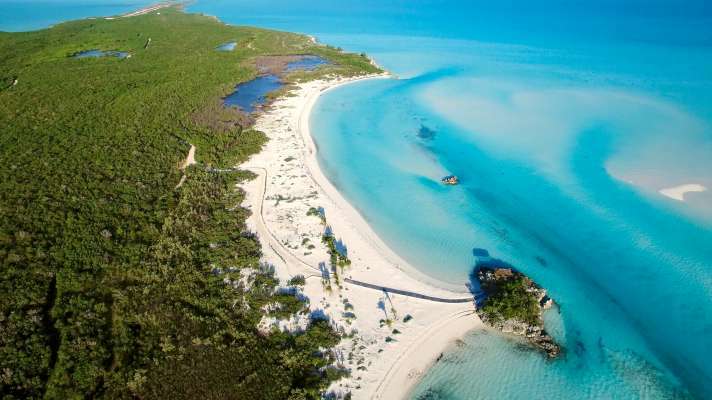 There is great potential for a luxury hotel resort, and the Bahamian government encourages foreign direct investment. Blue Island is an easy 20-minute trip by boat to the main island, and then it’s only 20 miles by car to shopping, restaurants and the international airport at Georgetown. Even more impressive is finding the beautiful solitude of Blue Island in such close proximity to the United States. The Exumas, which are composed of 365 cays and islands, are just 35 miles southeast of Nassau and about 300 miles from South Florida, making it an easily accessible aquatic playground. Here, nature is dominant, coastlines remain flawless and private homes play host to some of the world’s most famous celebrities. It’s a location that any island hunter would be proud to claim.